One of our Wordpress website was running very slow, so I have been asked to diagnose the application. The website was running in upwards of 6 seconds to load the homepage, and 8+ seconds to load woocommerce product pages. There are several debugging and profiling tools available in PHP realm, and Xdebug is an excellent choice. New Relic (free and premium versions) is another choice for profiling and debugging PHP application. Before we begin profiling a web application with Xdebug, we need to install the extension. Installing Xdebug is fairly simple if you follow the installation instruction. 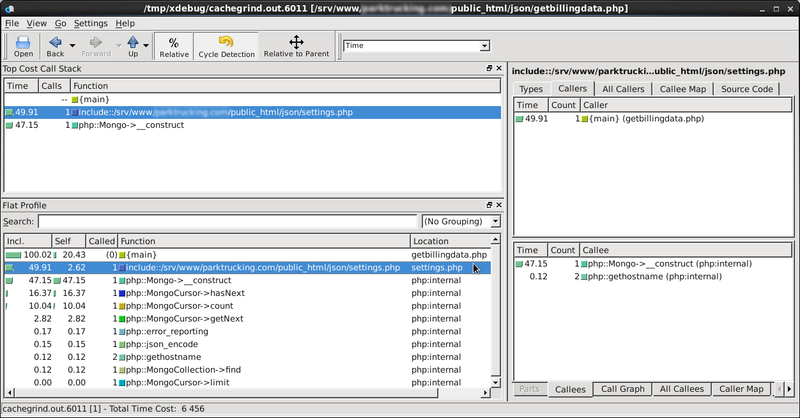 Beside providing you with more debugging information on PHP Errors, Xdebug also allows you to save profiling information to a log file and use KCacheGrind (Linux) or WinCacheGrind (Windows) to analyze the execution of PHP scripts. To enable profiling, we'll need to edit php.ini file. Within php.ini, create a section called [xdebug] and add the following configuration settings. You'll need to create an output directory (/var/log/xdebug), and allow web user (i.e. apache) to write to that directory. If you wish to enable profiling only when needed, you will add the following lines in the php.ini file. To enable profiling in your PHP script, you'll need to add a GET parameter XDEBUG_PROFILE to your URL. Add the following lines in the php.ini configuration file to enable Xdebug Profiling entirely. Be warned if you plan to use this option as Xdebug saves a lot of data in its profiling log. Ensure that you have a plenty of storage space in the server, and clean up old log files as often as necessary. Upon successful profiling of PHP scripts, Xdebug will create a CacheGrind compatible log files in the /var/log/xdebug folder. You will need an analysis tool such as KCacheGrind (Linux) or WinCacheGrind (Windows) application to analyze the profiling data. 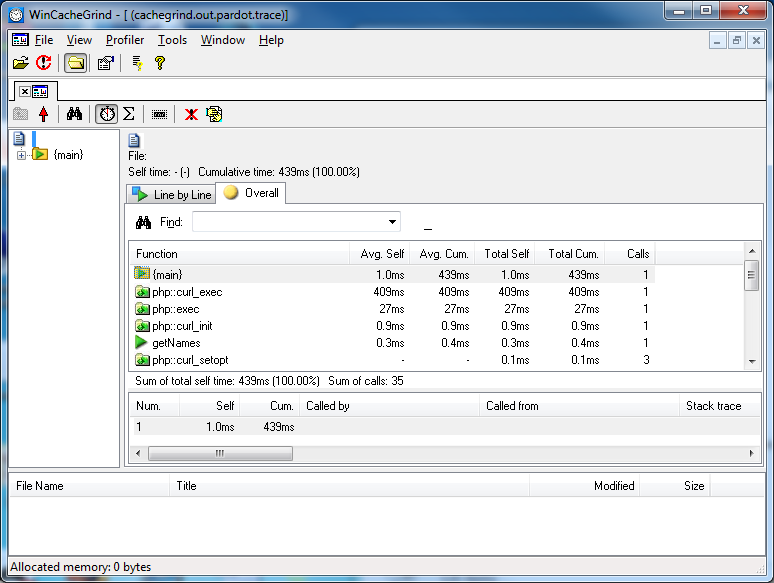 Here is an example of KCacheGrind and WinCacheGrind in action.